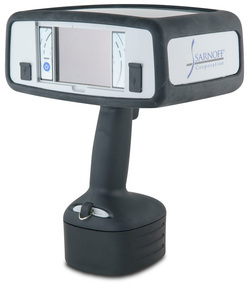 This ruggedized, handheld device allows for simple biometric enrollment and identification anywhere in the field. 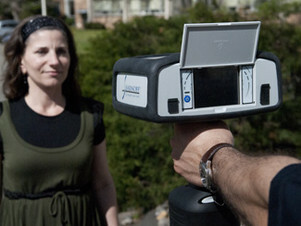 The RapID-Cam II camera can capture dual-iris and facial images up to eighteen inches away—putting a comfortable distance between the user and the subject. Operation is easy and requires only one hand. Once subjects are enrolled, the system performs identity verification in less than a second. The unit is completely self-contained. Its built-in wireless connectivity with automatic or on-demand synchronization ensures that the latest data is always available in the home office and in the field. This portable form factor expands the possibilities of security applications—from preregistering individuals as they wait in line at an entertainment venue or military checkpoint to identifying subjects while on patrol. With its unprecedented standoff range and tolerance to user or subject motion, the RapID-Cam II delivers an advanced level of security and convenience that similar handheld devices cannot provide.